On the occasion of ace musical maestro R. D. Burman’s 75th birth anniversary, we take a look at some interesting facts about the star that you probably never guessed. 1. R. D. Burman made his first onscreen appearance in Mehmood’s ‘Bhoot Bangla’. 2. 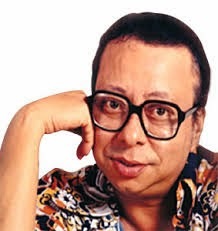 R. D. Burman pioneered the use of electronic organ in Indian Films with the song ‘O mere Sona re’ (Teesri Manzil). 3. Not many know that the mouth organ played in the song ‘Hai Apna Dil To Awara’ sung by Hemant Kumar in the film ‘Solva Saal’ is played by R.D. Burman himself. 4. In ‘Chura liya’ R. D. Burman used the sound of a spoon hitting a glass. The monthly meeting of National Society for Clean Cities, Pune will take place on Saturday the 28th June 2014 at 3:30 pm at PMC Art Gallery, Ghole Rd., off JM Rd..
# Parisar Samitis speak: The new mohalla committees, Bavdhan Manch and Dhanori Residents Forum, will discuss their issues. # Town Vending Committee: Shri Madhav Jagtap, Asst. Municipal Commissioner, PMC will speak on the progress made by TVC. ( NSCC members who are part of the committee i.e. Satish Khot, Madhavi Rahirkar, Maithili Manakawad and Vinay Pai will also give their feedback ). You are requested to send ( gautam.nsccpune@gmail.com ) your suggestions of specific locations for Hawker zones, otta markets / alternate spaces for re-locating encroachers from specific congested pavements. # Any other Business. *(With the permission of the chair). * Members are requested that any other points that they would want to raise may please be brought to the attention of the undersigned by email to: info.nsccpune@gmail.com, 24 hours prior to the meeting..